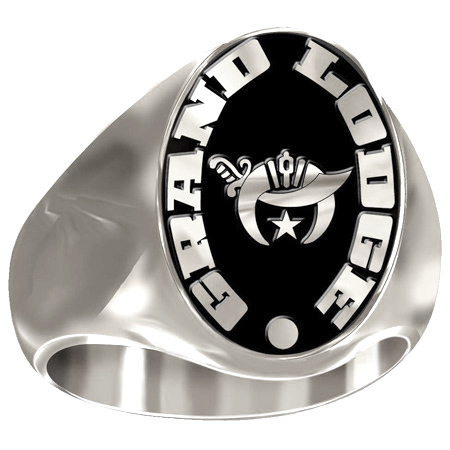 Solid back, polished 10kt white gold signet ring with scabbard and crescent moon logo. Antique enamel behind the logo. Smooth tapered shank. Customize the words around the logo with up to 35 characters.